White-Hot Hack is book 2 in the Kate and Ian Series and I have been anxiously awaiting the release! Ian and Kate are by far one of my favorite couples, and I have read their first novel, Heart-Shaped Hack, at least 5 time- it's just that good! 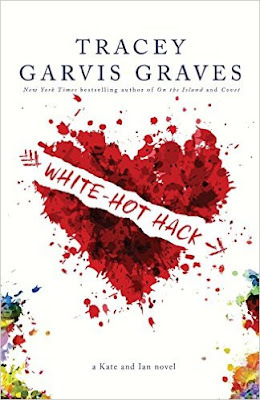 White-Hot Hack was just as good as I had hoped it would be! Picking up right where HSH left off, WHH was definitely different in tone, but still had that amazing banter and "Sweetness" I loved in the first book. I enjoyed reading about hacking in HSH, and the author gave us an even deeper dive on the hacking world in this book. It was more action-packed but I am glad to say I didn't shed any tears reading this one! Still suspenseful and fast-paced, this book was a satisfying ending to the story. And the epilogue was fabulous.... I do love a good epilogue!